The Germans sure can cook | Food E.
Okay, so maybe you disagree with that statement. I don’t really care. If you work in midtown, go to the Schnitzel ‘N Things storefront on 3rd Avenue between 45th and 46th Streets. 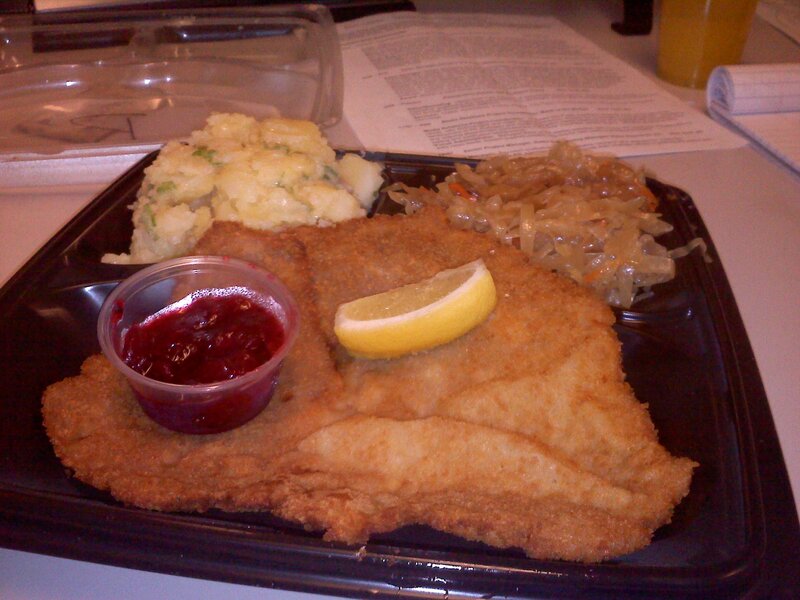 I ordered the pork schnitzel platter with Austrian potato salad and sauerkraut with cranberry compote on the side for only $11! Fantastic. And for your sweet tooth… they serve cookies and brownies from The Treats Truck at checkout! As if you need extra calories on top of your fried meat. Just go. You’ll thank me.